I can’t remember the last time I actually liked a Chevy—–i think i may be able to trace this to 1990 and my childhood admiration of the Cavalier Z24! ha. 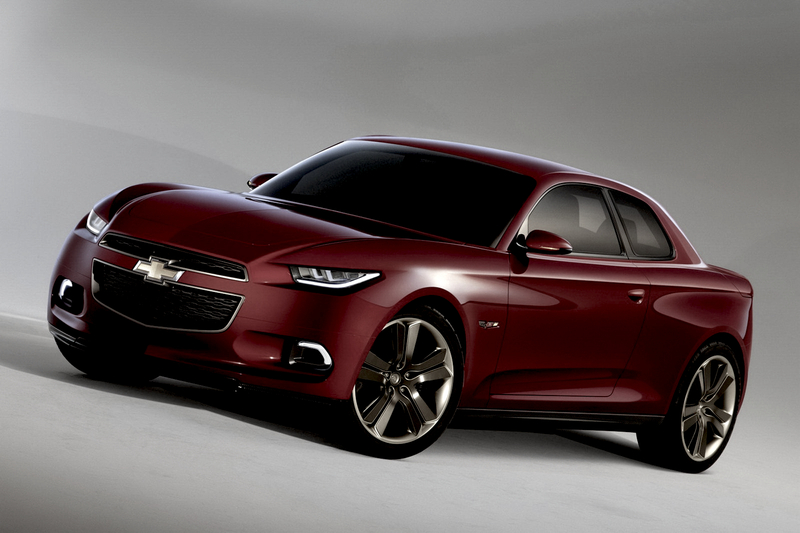 Anyways, Chevy have introduced 2 concepts at the upcoming Detroit Auto Show—–one of which, the 140s is kinda worthless (and ugly)—–but one of them (130R) is strikingly good looking! 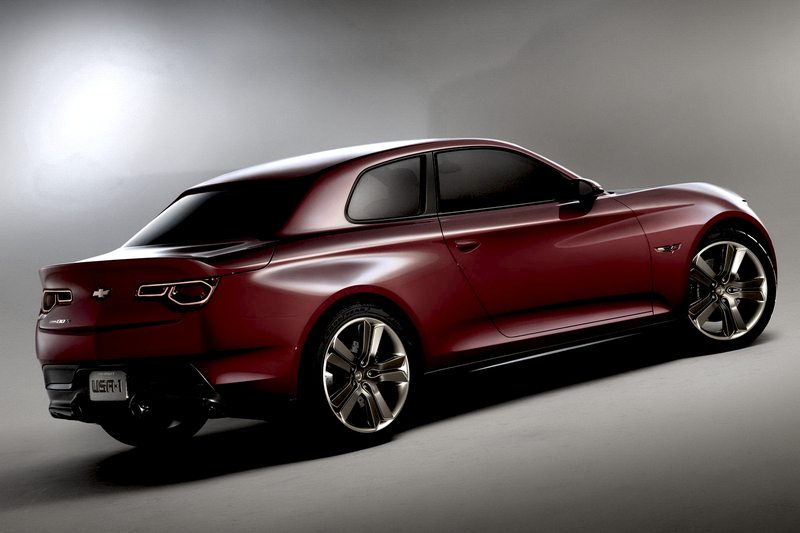 Although there is a lot borrowed from the BMW 1-series upon first glance, i find that the stance and size of this RWD concept is basically how I envision the ‘modern pony car’. Since Dodge has re-introduced the (forgettable) Dodge Dart—–maybe it’s time Chevy brings back the Nova! Or not…. There’s something pleasantly retro about this design, and at the same time progressive. I think i feel the same way about the previous generation 1-series; a car I’ve always loved in coupe design. 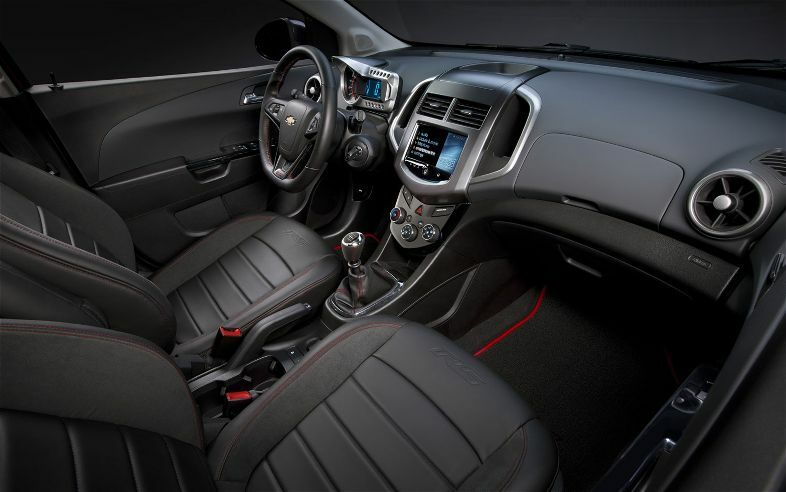 Of course Chevy just had to ruin all the fun by putting a $75 interior in it! terrible. sadly i agree! i doubt it will get produced in this form. The thing I find most refreshing about this design is the upright greenhouse. I’m so tired of cars with enormous bodysides and gun slot windows. The 130R is a return to more classic sports sedan proportions a la the BMW 2002 and the Alfa Giulia Sprint, and its strong beltline instantly recalls those cars in my mind. For what it’s worth, I think this car is nicer looking than a 1 series. the greenhouse is exactly the reason why i’ve loved the 1-series for so long—-that car totally reminds me of old school coupes. I think the front end on this 130r is a bit ‘trendy’ and rash….but otherwise i like the design….it’s not as flowing as the 1-series IMO….but very interesting nonetheless!